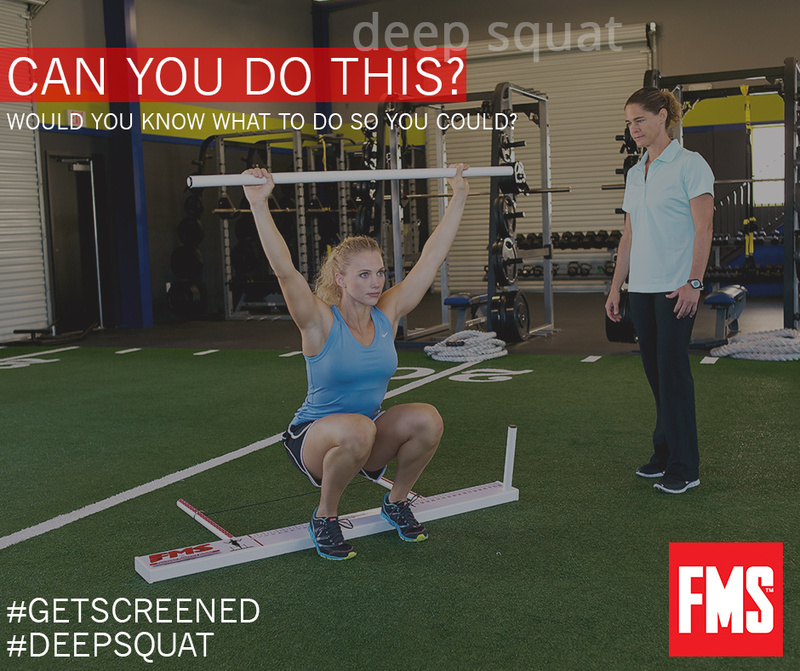 The Deep Squat pattern challenges total body mechanics and neuromuscular control. We use it to test bilateral, symmetrical, functional mobility and stability of the hips, knees and ankles. The dowel overhead requires bilateral symmetrical mobility and stability of the shoulders, scapular region and the thoracic spine. The pelvis and core must establish stability and control throughout the entire movement to achieve the full pattern. While full deep squatting is not often required in modern daily life, general exercise and sport moves, active individuals still require basic components of the deep squat to perform activities of daily living such as picking things up off the ground, getting out of a chair and lifting over head. 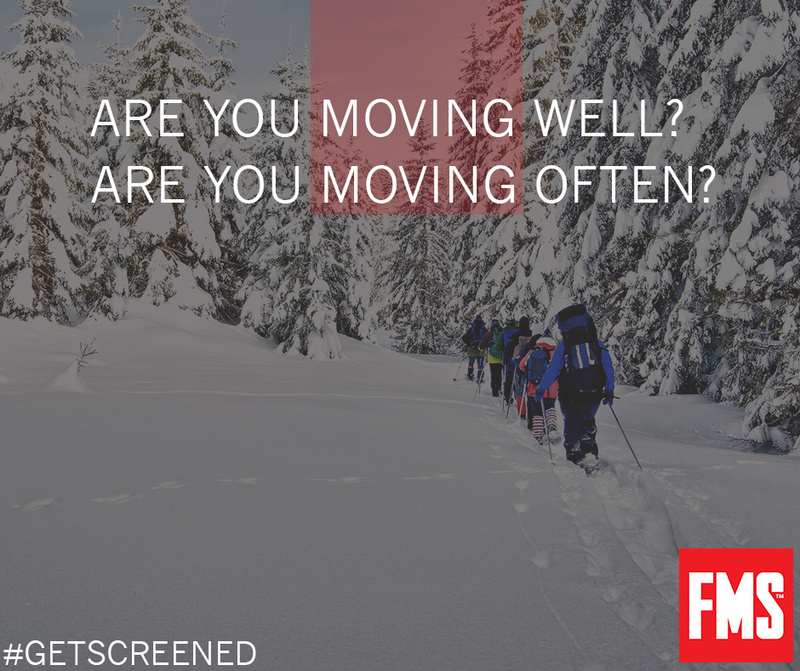 Limited mobility in the lower extremities, including mobility of the ankles or poor flexion of the knees and hips.